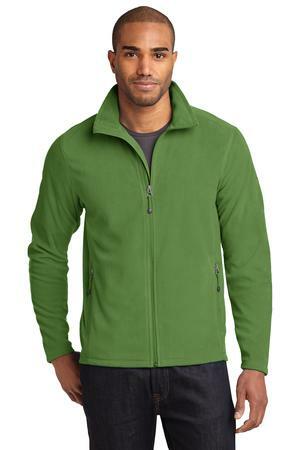 The Eddie Bauer Full-Zip Microfleece Jacket Style EB224 is available in Adult Sizes XS-4XL. It can be purchased in your choice of the following colors: Black, Grey Steel, Irish Green, Navy and Peak Blue. Warmth and comfort—without the bulk. This Full-Zip Microfleece Jacket features flatlock stitching throughout, reverse coil zippers, front zippered pockets, open cuffs and an open hem. It has a contrast Eddie Bauer logo embroidered on the left sleeve and is made of 100% polyester microfleece with an anti-pill finish. Be the first to review “Eddie Bauer Full-Zip Microfleece Jacket Style EB224” Click here to cancel reply.